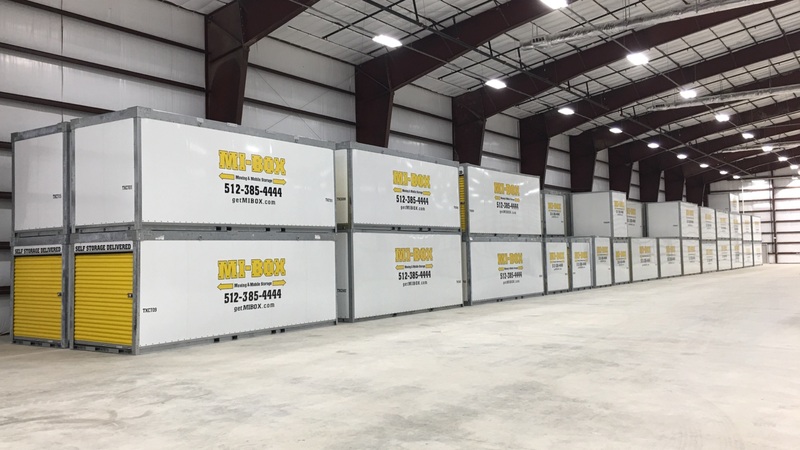 MI-BOX portable storage containers are available in 8', 16', and 20' convenient sizes to handle all of your storage and moving needs. Combine sizes or use more than one to accommodate larger jobs. Portable storage containers are great for storage on-site at your location. Use them for home remodeling projects, renovations or packing your next move. MI-BOX portable storage containers sit at ground level for easy loading. Our full width roll-up door makes it easy to load large items and can be securely locked. MI-BOX can pick them up and move them, or store them for you at our secure storage centers. MI-BOX portable storage containers keep your contents safe and secure. *Note: Please contact your local MI­-BOX dealer for availability and container sizes. Container sizes vary by location. All MI­-BOX storage containers are 7' 2" wide. 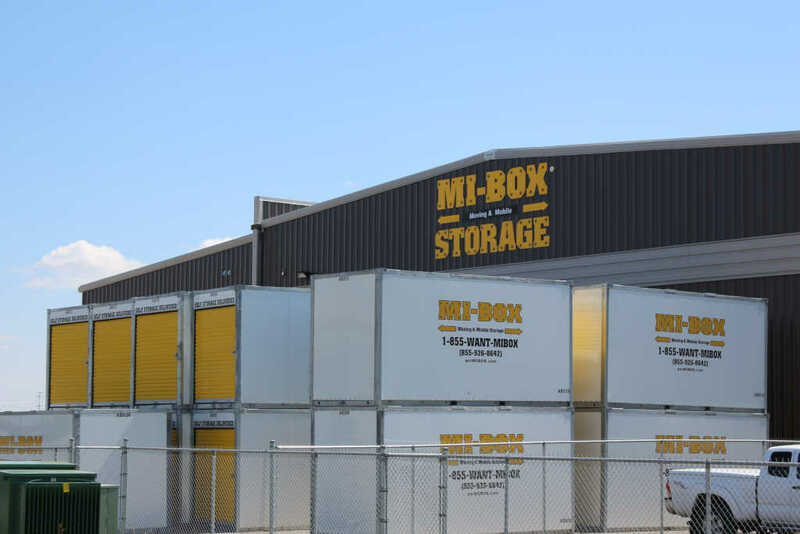 MI-BOX portable storage containers provide optimal protection and security. All units have a structural steel skeleton that is hot dipped galvanized to prevent deterioration and rust that can damage your driveway. A one-piece seamless roof is used to keep your stored items clean, dry and safe from the outside weather. Full-width doors provide easy access to the storage containers and are securely lockable. Each durable storage container is designed to allow air circulation throughout the unit protecting its stored contents from moisture and mildew. MI-BOX portable storage containers can be delivered just about anywhere. Our patented Level Delivery System will keep the storage container level at all times, greatly reducing the risk of damage caused by shifting loads. Portable storage containers can be gently placed on the ground without damaging any surface. We have the highest lifting capacity in the industry and the ability to place containers in tight spaces, low clearance areas, or a single car space. MI-BOX gets the job done right the first time, exactly when and where you need it. Most self storage facilities offer similar 10 x 10 and 10 x 15 sizes, but still require you to rent a truck, load it, move it, unload it, and repack it into their storage units. If you have a big job, you will need to do it over and over again. Not with MI-BOX. We'll deliver 8ft., 16 ft., or 20 ft. portable storage containers to your door. Take your time to load it and we'll come get it. Store them on-site at your location or in our secure storage centers. MI-BOX Mobile Storage & Moving dealers are owned and operated by hard working families from your area. All dealers use MI-BOX containers and our patented Level Lift System to ensure a quality experience every time. 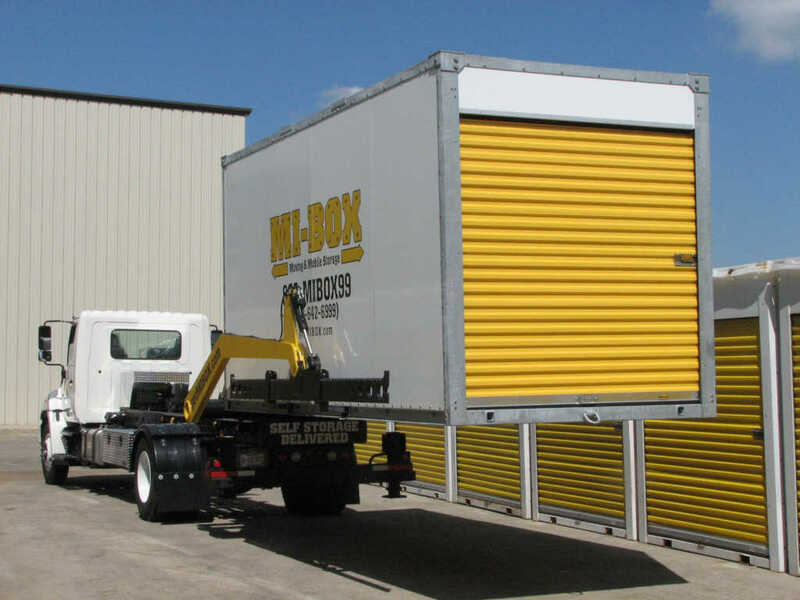 You're guaranteed to get the best possible moving and storage prices and service from local MI-BOX dealers.